The Paleo diet: are you living under a rock (or not)? – Is it healthful? The Paleo diet: are you living under a rock (or not)? Whether it’s the holier than thou douchebaggery that goes with the Paleo diet, or the fact that the life expectancy of the Paleolithic people was 35 years for men and 30 years for women, the Paleo diet does not sit well with me. So does the Paleo diet really work? Or have the cavemen pulled off one of the greatest marketing campaigns in history? 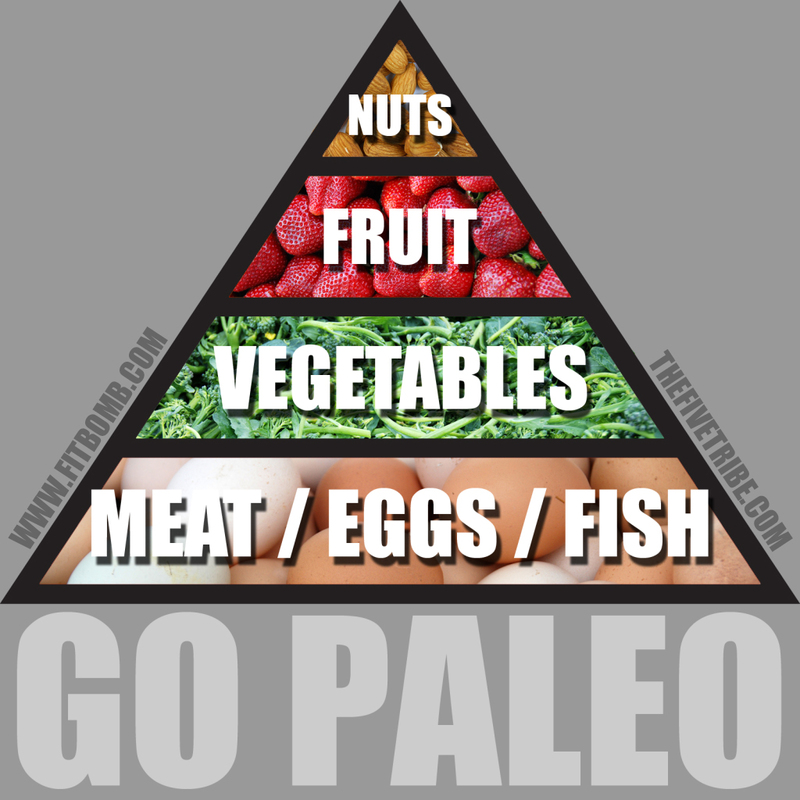 Before I answer that, let me give you basic outline of the Paleo diet – just in case you’ve been living under a rock (zing)! The diet is high in protein from meats and nuts, high in fibre from sources other than grains and limits carbohydrates by focusing on non-starchy vegetables. Dairy, grains, processed oils, sugars and salts are strictly off limits with this diet. Unsure whether it’s Paleo? Well if it’s raw and overpriced, it probably is (sorry that was mean). Having spent the last couple of paragraphs bagging Paleo, what does the science actually say? A review study found that there is weak evidence to support the Paleo diet in the prevention and treatment of various lifestyle disease and no evidence against the diet in preventing and treating such diseases (1). Looking positive so far, Paleolithics – drat! Another study, although conducted on a small number of people, found that the Paleo diet improves glucose control and blood lipid (fat) levels in diabetics, more so than a diet designed specifically for diabetics (2). Another, better quality study, found that the Paleolithic diet was more effective than a diet of equivalent calories that met Dutch Healthy Eating guidelines for reducing blood pressure, cholesterol and fat levels (3). Well, what does this all tell us? While the science of the studies so far is by no means awesome, it looks as if the Paleo diet is at least slightly effective at maintaining general health and preventing disease. You win this round, cavepeople! Maybe if the paleolithic people had a better healthcare system they would have lived to 1000. Sadly, the Paleo diet appears to work. Haha yeah, I could never give up cheese either! I tried this once when I was looking for a nutrition lifestyle plan, and it was horrible. I always felt sick.. I don’t know what it was, but I definitely wouldn’t recommend it. Sorry to hear that, Lauren. Yeah, I imagine it would be hard to get used to and it may lack a few nutrients here and there that we’re used to receiving. Thank you for sharing the information. I have never heard about “Paleo diet”. It sounds interesting. More than that the illustration of evolution has strong impact! That’s a pleasure. Yes it’s an interesting, strange trend! I am not sure.. seems really low in fibre to me, or you would have to eat tons of vegetables to come up to the amount of fibre in beans, wholegrain etc… I am not convinced although I do think it would be an improvement for some people with really unhealthy lifestyles. Yeah, that’s probably one of several downsides to the paleo diet. However, the paleo diet is likely vastly superior to the average western diet, which is reflected in the scientific literature to date. Yes, it’s a fad. Yes, it’s likely not as healthy as eating a diet based on healthy eating guidelines. But if the average western person buys in to this fad, then I think it does more good than harm. Here’s a new diet that would probably work just as well if not better: the don’t-eat-crap diet. Woo! But really, I have a friend that swears by the Paleo diet. Ick. I think she’s just a little OCD or maybe on the spectrum and likes the predictability of it. She brings the exact same thing for lunch EVERYDAY. Ugh. Hahaha very, very true! Just eating healthy foods is the best option. I wouldn’t give up cheese either. Not a chance. However, other than that, the Paleo diet seems good. I could happily live on a raw diet, as I don’t eat much meat anyway. But no to giving up cheese. Big no! I love your reluctance to agree with Paleo in this post. Amused me. This is not a “diet” – I eat as much as I need to maintain strength, energy, activity levels and a healthy body weight. I aim for well-balanced nutrition, so I eat both animals and a significant amount of plants. I’m not lacking carbohydrates – I just get them from vegetables and fruits instead of bread, cereal or pasta. And my meals are probably higher in fat than you’d imagine, but fat is a healthy source of energy when it comes from high-quality foods like avocado, coconut and grass-fed beef. I have to agree with the previous post. I have been on a modified paleto diet for over a year and have dramatically increased my intake of whole vegetables and fruits, as well as grass-fed protein. In short, my food intake is comprised of what I consider to be “cleaner” foods. Granted, it is generally difficult to eat out or travel to cities that rely upon quick, processed foods. Aside from the benefits to my weight, I feel better about the food I consume. Good one, Rena. Glad to hear it has worked for you. My biggest concern with this way of eating is that it cuts out dairy and wholegrains. Big risk of deficiency in calcium, B vitamins and resistant starch by avoiding these food groups. I haven’t seen any compelling studies around this yet – most have a very small sample number and run for a matter of weeks. So even if results are found can we be sure they are generalisable to the population or sustainable in the long run? Yes, those are certainly valid concerns with the diet that I should have addressed. There isn’t direct data indicating this yet, but obviously studies showing an association between decreased dairy and calcium etc. Yes, most of the studies to date are weak. The review study – although unsystematic in nature – means we make inferences to some degree on a larger, combined sample. Long term follow up is definitely a problem. My one argument would be that the Paleo diet is likely much healthier than the AVERAGE western diet. That the negatives of these nutrient deficiencies would be outweighed by a lower incidence of current, prevalent lifestyle diseases. Particularly considering this diet is often one turned by those trying to lose weight. How do we define average!? So many variations between individuals it would be very difficult to suggest the way one group of people each is better than millions of others! I think the main point is as long as a person is meeting their nutrient requirements and feels good, then the diet they are on it right for them, regardless of what they do/do not eat. This was interesting! My dad decided to go paleo for a few months and said he had never felt better, and he even lost a few pounds. We even bought him one of the gazillion paleo cookbooks so he could spice it up a bit. I think the diet even improved his cholesterol levels, like you said in your post. Thanks for this! Very interesting blog! Love it! Thanks, Reyesmm. Really appreciate the comment. A good diet to me means one you can stick to that reduces your consumption of foods that are inflammatory, sugar-spiking, gassy, or addictive to you. It’s something you can only find individually by trial and error. Someone who finds fats addictive would probably do better on a salad-and-shake type diet. while someone with a carb habit would probably be better off on a low-carb diet. People who don’t enjoy eating could stick to calorie-counting, but people who feel deprived if they can’t have filling meals need filling foods. We’re just all snowflakes. I would certainly agree with that, theraineyview. I have learnt that it totally depends on the person- and maybe their blood type?? I eat cleanly and prefer raw vegetables/juices, plant based supplements and white meats. This works for me. Bacon and heavy red meat meals do not- I cannot shift body fat when I eat it. My ex on the other hand (I don’t know if this a crossfit/army mentality or not) really really thrived on meat heavy diet. I guess it totally depends on what your energy requirements are, and how well your body breaks down certain foods. I love that more people are eating clean in whichever way is best for them- this means more food choices for us! Thanks for the comment. Absolutely, research in many cases fails to account for individual differences. Hahaha they most certainly will tell you. ← Are protein supplements really the whey to go?